A 1978 T2 Champayne edition volkswagon Photo booth bus for a unique and one of a kind retro experience. 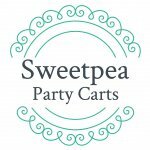 Looking for a high quality and bespoke Candy cart, then Sweetpea Party carts are just what you need. Offering a choice of carts, including a vintage cart ideal for Barn or vintage themed weddings and a large choice of glassware and sweets, take a look now and contact Louise for details. Sweetpea Wedding photography is a Gloucestershire based photography business specialising in natural timeless photographs. Covering Gloucester, Cheltenham, Tewkesbury, Stroud, Cirencester and the surrounding areas. We have covered venues including Clearwell Castle, The Manor on the Lake, The Queens Hotel, Gloucester Cathedral, Blackfriars, Stonehouse Court Hotel, Tortworth Court Hotel and many others.